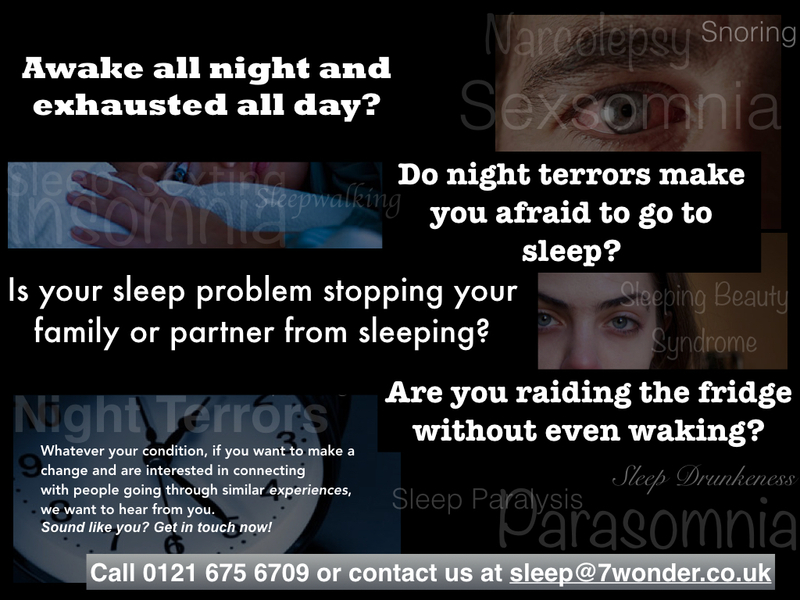 7 Wonder TV are looking for men and women who suffer with sleep related health problems and feel it’s holding them back from living the life they dream of. Are you awake all night and exhausted all day, feel like you’re living in a different time zone? Do night terrors make you afraid to go to sleep? Is your sleep walking, sleep talking, or excessive snoring stopping your family or partner from sleeping? Have you gained extra pounds raiding the fridge without even waking? Whatever your condition, if you want to make a change and are interested in connecting with people going through similar experiences, we want to hear from you. Sound like you? Get in touch now!